Which Dubai roads to be remade this year? Roads in Dubai are constantly subject to change. 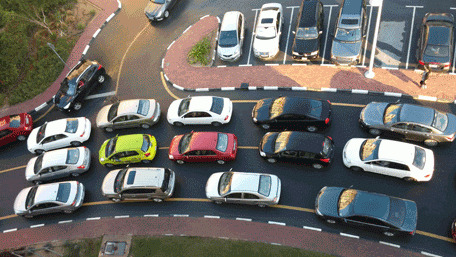 These developments are in response to a fast-growing emirate with an increasing number of vehicles on the road. Road widening projects, road improvement projects, new links, bridges, tunnels, flyovers and intersections or renewed traffic management strategies are always on the agenda of the Roads and Transport Authority (RTA). Last year saw the start of some mega projects, such as Dubai Canal, which is to flow under Sheikh Zayed Road, Al Wasl Road and Jumeirah Road to be reunited with the Arabian Sea. The first steps towards this landmark change were initiated with the diversion of all lanes of Sheikh Zayed Road, and works will not be completed until September 2016. “The first stage of this project has been completed 30 per cent, while the second phase saw a completion rate of 11 per cent and the third phase a completion rate of 10 per cent,” said Maitha bin Adai, CEO of the Traffic and Road Agency (TRA) at RTA. Two important projects were completed in 2014, according to Maitha. While Jebel Ali-Lehbab Road saw the improvement of damaged pavements, the metro viaducts and elevated structures of all 46 metro stations on both the metro lines were improved with robust metal structures and concrete barriers to protect such structures against the potential collision with vehicles, she pointed out. However, many projects were carried to 2015, with most of these to be completed this year. These are the 5 major projects expected to be completed over the next 10 months. Discovery Gardens attracted a lot of attention last year due traffic congestion, road closures and new road openings. With a new link to the area scheduled to be completed as soon as February, residents and commuters in the area should heave a sigh of relief soon. The new link is part of the Parallel Road Improvement Project phase 3C-1. “Part of this project was already completed with the opening of Qarn Al Sahbkha Road, which links Sheikh Zayed Road at the Jumeirah Lake Towers (JLT) junction with Sheikh Mohammed bin Zayed Road near Al Houdh Roundabout,” said Maitha. Through the extension of Al Saada Road, Discovery Gardens will not only be linked with JLT but also with communities Jumeirah Islands, Jumeirah Park and Emirates Hills. The road will be approximately 1.5 kilometers long and form an extension of the existing Al Saada Street, while at the same time providing access to Sheikh Mohamed bin Zayed Road. A year ago the RTA announced to establish a new road linking between Sheikh Mohammad bin Zayed Road and Emirates Road; al Yalayis Road. By the end of May this year this road is expected to be completed. “Al Yalayis Road is a dual carriageway including four lanes in each direction, forming a link between Mohammed bin Zayed Road and Emirates Road with entrances to Dubai Investments Park,” explained Maitha. The project includes the construction of a new bridge to allow for the smooth movement of traffic from Al Yalayis Road onto Emirates Road in the direction of Sharjah, in addition to two roundabouts, the first on the intersection of Al Yalayis Road with Academic City Road and the second on the interchange with the entrance of Golf State and Dubai Investment Park. Major improvements have been carried out on Al Qudra Road, and the finishing touches of this project are to be completed by March this year. The widening of Al Qudra Road project aims at stepping up the safety level on Al Qudra Road, especially in the last sector extending from Jebel Ali - Lehbab Bridge up to Bab Al Shams R/A, where some motorists drive at excessive speeds, besides the crossing of camels and horses at some points. Earlier this week the RTA announced the opening of the widened part of this road, which expanded from one to three lanes in each direction. Currently two diversions are in place extending over 2 km to cover the bridge works and camel crossings, but these projects will be completed soon. On Jan 31st this year, the new bridge which is parallel to the old bridge crossing Jebel Ali - Lehbab Road will be opened. Cyclists will be diverted to the new bridge, and fencing will be erected to separate cyclists from the main road. The vehicles and camels crossing on Al Qudra Road will be opened on March 31. Apart from the main roads linking the emirate, the RTA has a plan in place to improve the internal roads of certain areas. 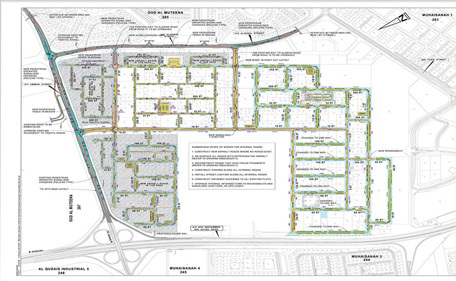 Al Barsha South is to see a major revamp of its roads by August this year. 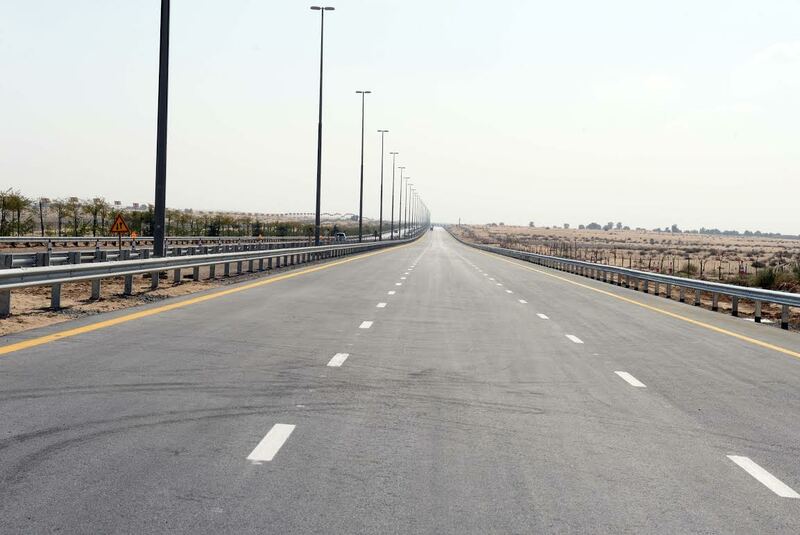 The project comprises the construction of an internal roads network at Al Barsha South 1 (community 671) extending 53 km, and the construction of collector roads at Al Barsha South 2 (community 672) extending 7 km. 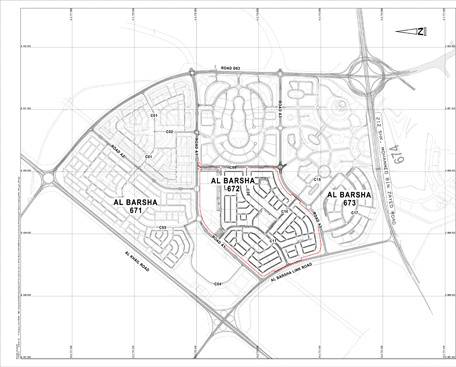 An additional entry to Al Barsha South 1 from Umm Suqeim Road will be provided, as well as an additional entry to Al Barsha South 2 from Hessa Street. Further, longitudinal parking slots on roadsides, lighting works, rainwater drainage works, and other utility works are part of this project. Another community that will see the improvement of its internal roads is Muhaisnah. Internal road improvements will be completed in Muhaisnah 2 by October this year. The project includes the construction of roads extending 31km, the repaving of existing roads and the conversion of 6 roundabouts into signalised junctions, as well as the construction of designated crossing points for pedestrians. Improvements will be carried out in Amman Street and a fence will be erected on the median of Algiers Street. Further, new parking slots for vehicles and buses, street lighting and a storm-water drainage network form part of the project.